There’s a certain beauty that the look of copper adds to a home. Enter this week’s Find Gift giveaway and you could be shopping for your new favorite piece of décor. One lucky winner will receive a $100 gift certificate to Cobre, a unique shop that specializes in hand-hammered copper gifts and accessories. A Fair Trade company founded in 1994, Cobre offers items that are made by master artisans using reclaimed copper and the traditional bonfire method. 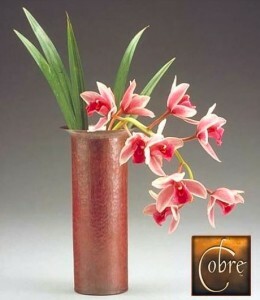 With the $100 gift certificate, the winner will have access to Cobre’s vast collection of exquisite products including vases, bowls, sculptures and wall art. For a chance to win this spectacular giveaway, visit the FindGift Facebook page (be sure to “Like” us!) and “Like” the giveaway photo. For 5 additional entries, share the picture on your Facebook wall. The contest ends on Monday, November 4th 2013. Good luck!